Bill, my combo machine is, as mentioned earlier, a 6"x9" (6" wide belt and 9" diameter disk). The machine is built from cast iron and has a 3/4 hp motor running at 1450 rpm. I have used the disk for many years and have a reasonable touch on it. What I dislike is that it cuts very aggressively and will burn wood if not careful. The disk does not have a large working area (one effectively can only use one side), and the degree of sanding varies across the surface (minor sanding at the centre, and increasingly aggressive as one moves to the outside). 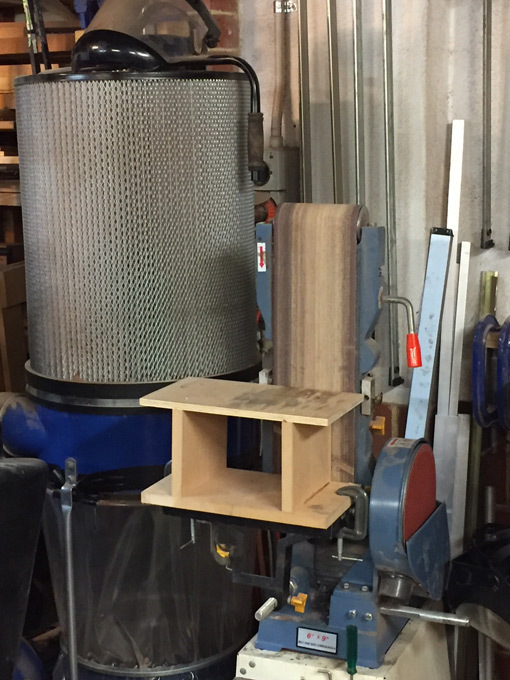 The belt sander sports a MDF platform on top of the adjustable table (it switches around from the disk to the belt). The belt sits absolutely flat on the platen. In any event, I sand on the centre third. The belt sander has an even removal of waste, and the slower speed plus long belt reduces heat to a minimum. There is no burning of end grain.